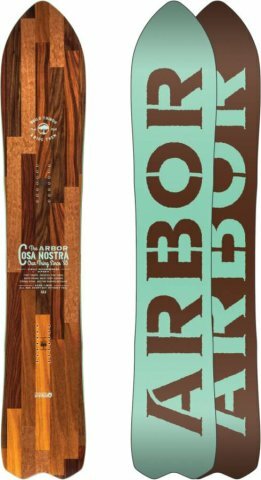 The Arbor Cosa Nostra is like a stiffer Shreddy Kruger and other than missing that secure feeling out of a turn in steep terrain its a very capable floater in the deep stuff. Conditions: About 2 feet of good Sierra Powder and a little groomer time. We try to get as many images of the Arbor Cosa Nostra, but forgive us if they're not all there. Really enjoyed this board for what it is. 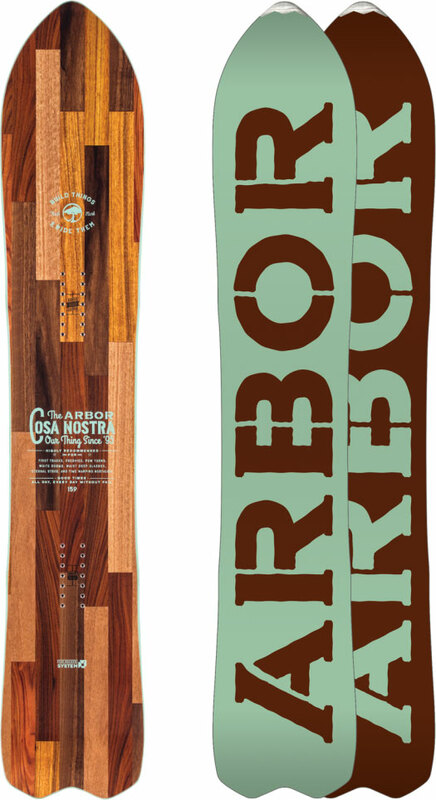 Super surfy pow inspired deck that was also fun in the tracked out stuff. Hi ! Cosa nostra is maybe the best powder snowboard I’ve ever ridden, especially for powder tree runs ! It’s narrow and super nimble in tight spots . This season I ridden Cosa nostra 159 and Never summer maverix 157 at same time in the same conditions and Cosa nostra is much faster and nimble then Maverix , I’m not agree with the reviews here that Maverix is faster edge to edge ! Sorry for my English but I’m from east Europe.